Lydia Wickham is a young widow and Mr. Wickham hardly had any money, so she has to find a way to make a fortune on her own. She only has one huge weakness, an appalling taste in men. Together with her friends she organizes gambling evenings that should bring in some money. She also has an adventure with a highwayman, who keeps making her an accomplice because Lydia can't resists his charms. She even has a royal affair, but she can't seem to find a suitable husband. She can't marry any of the men she meets while a prosperous marriage is exactly what she needs. Lydia has her maid Adelaide by her side and together they're trying to find luck and wealth. When Lydia screws up one time too many she's being punished for it with a position that might actually make her wishes come true. However, her fortune never seems to last. Will Lydia finally find the money she so desperately wants or is she destined to be poor forever? Lydia Wickham's sister is married to Mr. Darcy and she doesn't get along with her brother in law at all. Her sister Elizabeth and her husband are respectable people, but Lydia loves a gamble, she likes to party, she can't resist charming men and she isn't good at saying no. She's delightfully shallow, she isn't that smart, but she can be cunning and she never thinks about the consequences of her actions. Having fun is her main goal in life and she's fabulous at it. I loved reading about her successful and not so successful quests to make money. Lydia is absolutely fantastic and the more flaws she has the better. She flutters from one disastrous situation to another like an upbeat bright colored butterfly that everyone can't help but notice. Jean Burnett has a great sense of humor. 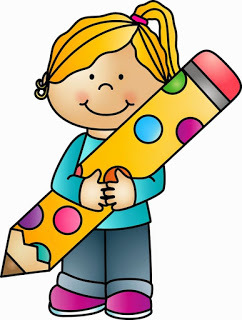 She combines this with writing that perfectly suits Lydia's fancy upbringing. I love it that she's given the black sheep of the Bennet family her own chance to shine. I often laughed out loud while reading Lydia's story and loved that she lands herself in so many comic situations. I advise you to take the time to read this story, don't try to fly through it, but read slowly and savor the scenes. It's a book that doesn't deserves to be rushed through, because there's a chance to overlook too much of the wittiness that way, which would be a real waste. I'm a big fan of Lydia Bennet, she's amusing and daring and her stories are captivating. 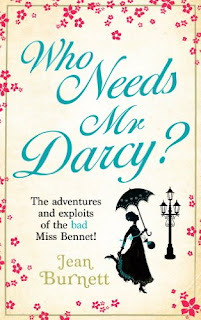 I loved this funny first Lydia Bennet book very much. Lydia Bennet is on her way to Brazil by accident. She's now a member of the Portuguese court together with her maid Adelaide. Brazil is a tropical paradise, but that actually means it's extremely hot, most of the people smell, beautiful clothes don't matter all that much and Lydia has to eat shrimp every day. Still, Lydia finds her entertainment and this time it's the Portuguese heir. Of course she's fallen for the one man she should have stayed away from. The result is that she has to leave Rio de Janeiro to be hidden in a coastal village. Lydia Wickham always finds a way out though. While trying to find a rich husband Lydia meets pirates, she's being abducted, she finally receives the jewels she's always dreamed of, but if she can keep them is a completely different matter, and she spends a lot of time on different ships, to end up exactly where she started, with her sister Elizabeth and Mr. Darcy, who can't wait for her to leave. The loathing is mutual and as usual she stumbles upon the perfect way to get out of his house as quickly as she can. Will her adventures finally bring Lydia the rich husband she so desperately wants or will she lose everything she has once again? The Bad Miss Bennet Abroad is another wonderful book about Lydia Wickham and her quest to find a good looking,﻿ wealthy husband. Lydia is great at making the wrong decisions, she's impulsive, never thinks things through and she doesn't say no when it's obvious she should have. She's superficial, but not in a bad way. She's easy to like because she's so much fun. I loved reading about her adventures in different countries on various continents. Lydia has the opportunity to see the world and she does it by chance, like she does everything. I enjoyed reading about the men she meets and the ways she finds to make sure she has something to sell to make her fortune. Adelaide is her accomplice, but she can be trusted with men as much as Lydia herself. That's something else I really liked about this story. They're quite a pair. Jean Burnett has a brilliant sense of humor. I love the stories she comes up with and Lydia Bennet is a character to adore. 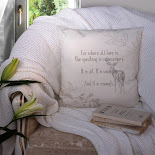 I like the Jane Austen references, they're there precisely when they are needed and they're never too much. Jean Burnett knows when something's just enough and she has a good eye for timing. I like that she's chosen to go her own way instead of copying the style and the characters in detail. 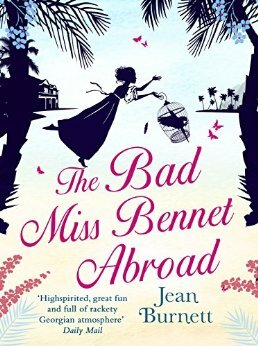 I think The Bad Miss Bennet Abroad is another cheerful and adventurous Lydia Bennet book. It's a dazzling and entertaining story that put a big smile on my face. 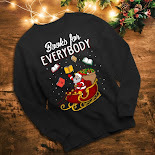 I'm totally on board with this book -- pinned and have it on my TBR! The only vision of Lydia I have is her 15-year old self on the BBC movie, so this will likely change my view of her. What?! I never knew about these books. Thanks for reviewing. I'd love to read them. I loved it! 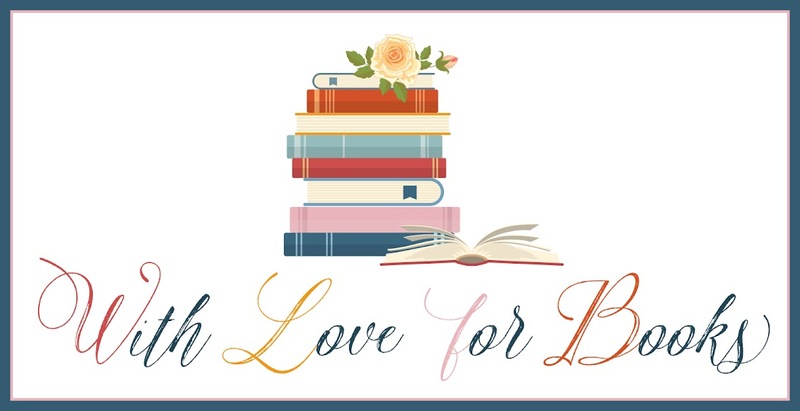 In my tbr! Right into my to read list! Ha ha! These sound like great fun. Poor impetuous Lydia; I always thought Austen was particularly hard on her but I suppose it was a different era. I've never heard of these series before but I am definitely intrigued! Lydia sounds like a fun character!! Oooh I didn't know there was a book about Lydia and the fact that Mr Darcy and Elizabeth appear has so excited to read this one! I can't wait to get into this and read about Lydia's story, she sounds like an amazing character! I like that Lydia gets her own stories.